In 1957, a fire was discovered inside Britain’s first nuclear reactor atWindscale. At the time emergency procedures were minimal, but its effects are still being felt today. 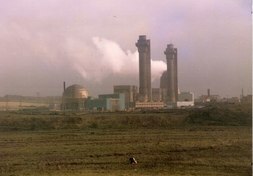 In October 1957, one of the Windscale nuclear reactors caught fire. It was the world's first nuclear accident, attributed to the rush to build atomic weapons. This programme highlights the mistakes leading to a nuclear event which, 40 years on, still takes second place only to Chernobyl.